As designers, Kristine Irving and Marcel Albanese often create gathering places for their clients. So when Albanese (a cofounder of Studio FKIA) purchased this 1969 Nauta-Line houseboat from a retired sea captain, the couple seized the opportunity to design an entertainment space of their own. 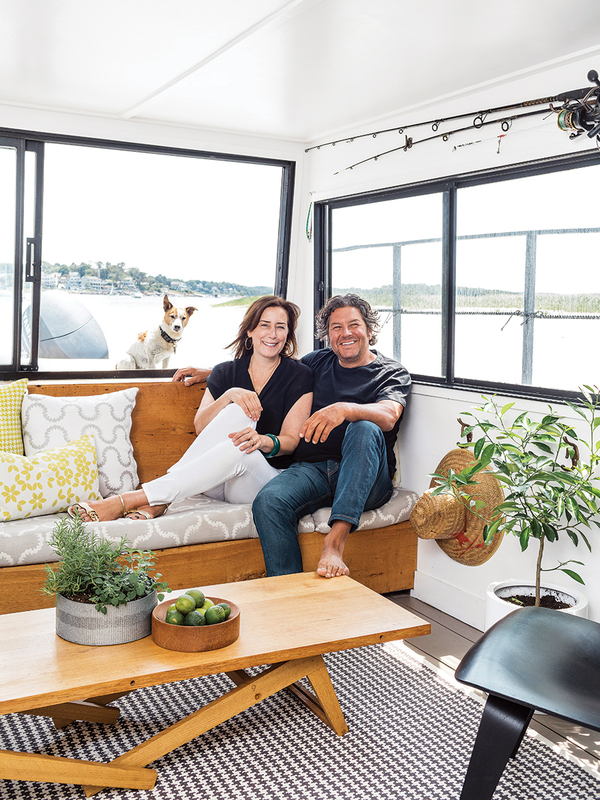 Plus, the vessel was in dire need of a makeover: With Formica countertops, shag-carpet ceilings, and a foul stench, the interior screamed “Brady Bunch meets Home Depot,” says Irving, founder of Koo de Kir Architectural Interiors.